Over the weekend of the 25. – 27. September 2015, we held our Group Camp at the Crossags Camp Site on the outskirts of Ramsey. 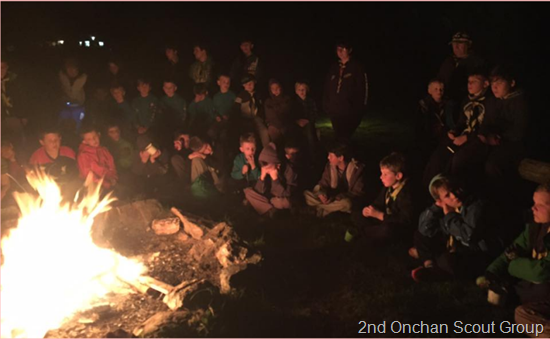 Cubs, Scouts and Explorers arrived on the Friday evening, with the Explorers working as Service Crew during the weekend. After everyone had got themselves sorted out, we held Flag Break and then the Cubs and Scouts headed off into the woods behind the camp site for a ‘Hunt the Flag’ game. Once they were back on site supper was served and then it off to the Camp Fire for an hour of songs and sketches, before heading off to bed. On Saturday morning, everyone was up pretty early (some a little too early). Breakfast, as all meals were, was eaten outside, as we had been blessed with a sunny weekend. Kit and tent inspection followed and then the days activities started. The Scouts headed off to the Venture Centre for abseiling and gorge walking while the Cubs visited the Wildlife Park for the morning. Lunch was pastie and beans, which went down well. After lunch we were joined by our Beaver Scouts who had travelled by tram from Douglas. The Beavers joined with the Cub Scouts for an afternoon of challenge bases on the camp site while the Scouts were taken by minibus up into the hills for a five mile hike along part of the Millennium Way back to the Camp Site. Tea was a barbeque and afterwards everyone went swimming at the local pool in Ramsey. Back on site supper was served, there were more songs and ketches around the camp fire. Beavers headed off to bed, quickly followed by the Cubs, while the Scouts held a short wide game. By 11:30 the whole site was quiet. On Sunday, sausage sandwiches were served for breakfast in addition to the usual cereals and toast. After kit and tent inspection, everyone was split into two groups with both groups taking part in a quiz around Ramsey town and an hour of ten pin bowling. Lunch was baked potatoes with various fillings and after lunch, kit was packed away and tents taken down. 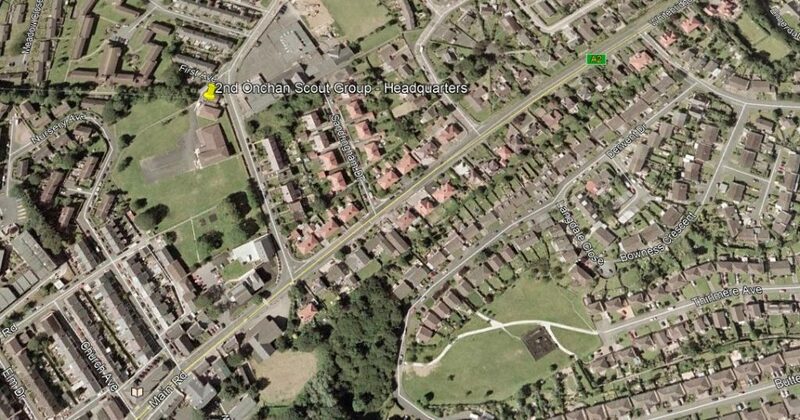 The site was tidied and Flag Down held, before everyone headed off home mid afternoon.